A loan of $600 helped to pay for the repair and maintenance of her rooms for rent. Margarita is a resident of Malibay, Pasay City, Philippines. She is 53 years old, married, and has children who are all grown ups. Since 2008, she has rooms for rent which today has grown to nine rooms. Aside from this, she also has a variety store where she sells different grocery items per piece and per sachet. She is glad to know that there are organizations willing to help improve her business. 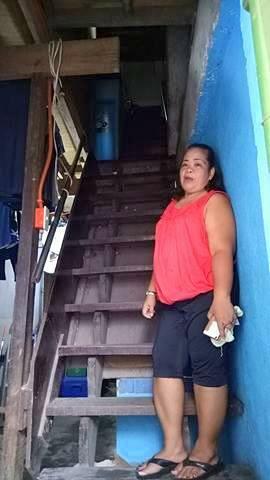 To have additional capital, she would like to ask for financial assistance that will be used for the repair and maintenance of her rooms for rent. Part of the loan will go to her variety store in buying different grocery items. She hopes that her family will always be in good health. Margarita is a member of the Center for Community Transformation and meets weekly with her fellowship partners to share her life’s testimony and business experience with her fellowship members. She also draws strength and inspiration from the fellowship and listening to the Word of God. A fellowship group is composed of 15 to 20 members. The fellowship groups gather each week to study the Word of God, build social relationship among partners, and pay microfinance loans. It's part of the partner's mission to empower communities through financial services and spiritual direction. The Center for Community Transformation (CCT) is dedicated to the development of communities and lives via spiritual transformation and access to financial services. CCT offers loan products to address the needs of micro-entrepreneurs in the Philippines. The organization’s loan products include small business, education, and housing loans. CCT utilizes a community-based approach to provide a variety of non-financial services that include training and development programs, clinics, disaster relief operations, a low-cost medicine program, and social service programs. CCT offers a unique “Pavement Dweller” program designed to provide food, housing, and job training. CCT also provides education support services to the poorest groups in the Philippines. Find more information about CCT on their website or join their lending team. Kiva chose the Center for Community Transformation (CCT) because of its holistic, sustainable, community-based approach to services and programs for the poor. It now serves nearly a million families across the Philippines including micro-entrepreneurs, indigenous people, factory workers, orphans, children and youth, scavengers, mendicants, street-dwelling families, and other poverty sectors. The CCT Credit Cooperative, one of the 14 integrated ministries of CCT, is the lead ministry for micro-entrepreneurs, farmers and fisher folk. Kiva has partnered with CCT because of its innovative and successful programs and services which aim to see changed lives, strong families and transformed communities.